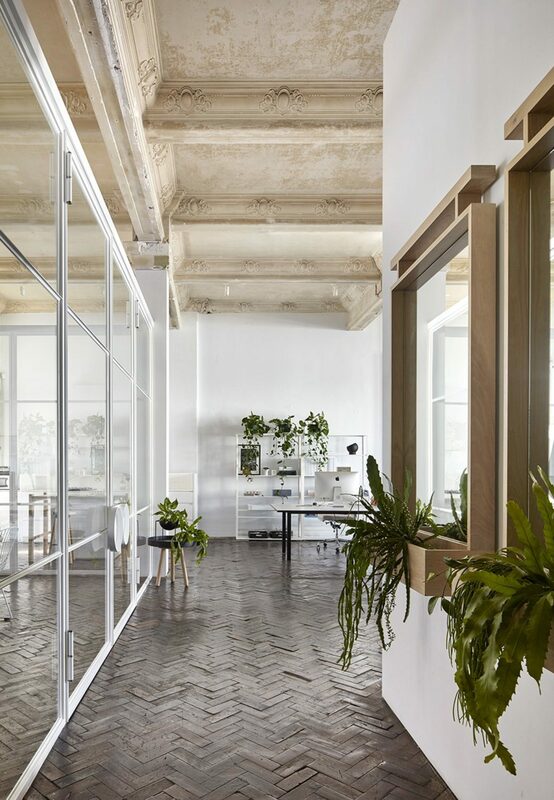 Melbourne based interior design studio The Stella Collective has moved into its new home, setting up office within the glamorous walls of a hundred-year-old former department store. Built in 1914, The Conway building is located in the heart of Melbourne’s Chapel Street, an iconic destination for retail, food and nightlife. 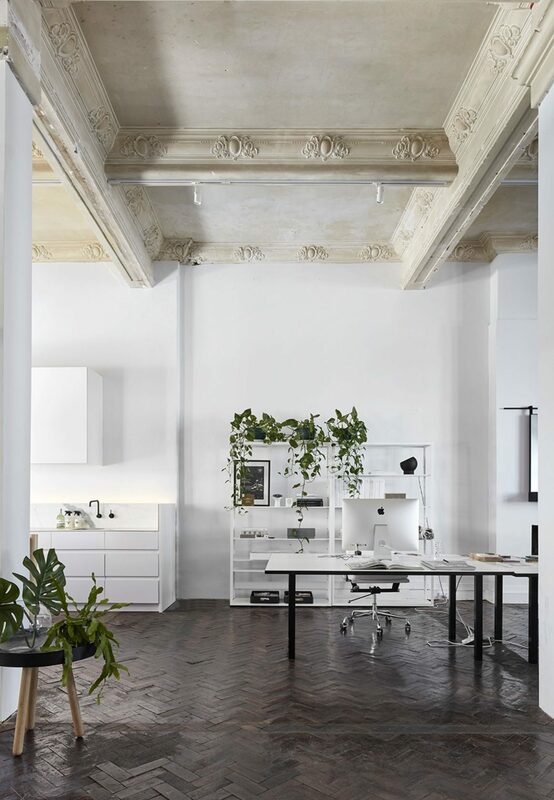 The Stella Collective has embraced the building’s old world charm, channelling a bygone era distinguished by its soaring ceilings and ornate detailing. Director Hana Hakim says she has realised her vision for creating a “feel good” space that has an apparent simplicity, yet is expertly crafted and honest in its materiality and reverence for history. “The space is a reflection of our philosophy in respecting the old whilst embracing the new,” she says. “It’s the kind of design tension we live for. Refined sophistication, but with a rock ‘n’ roll heart. 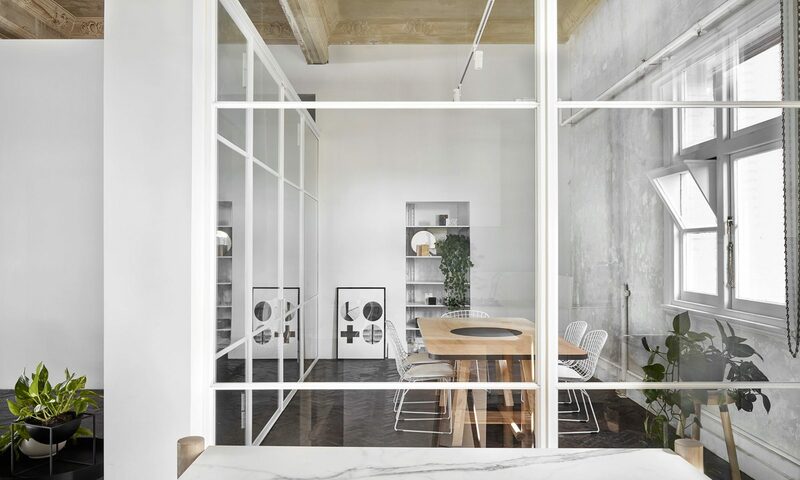 In designing with sensitivity and respect for the building’s existing bones, the space has been cleverly built as an insertion, easy to install and remove without interfering with the original structure. The stunning parquetry floor and decorative ceiling have been embraced with gusto, and the addition of glass-paneled walls demarcates the boardroom and kitchen. 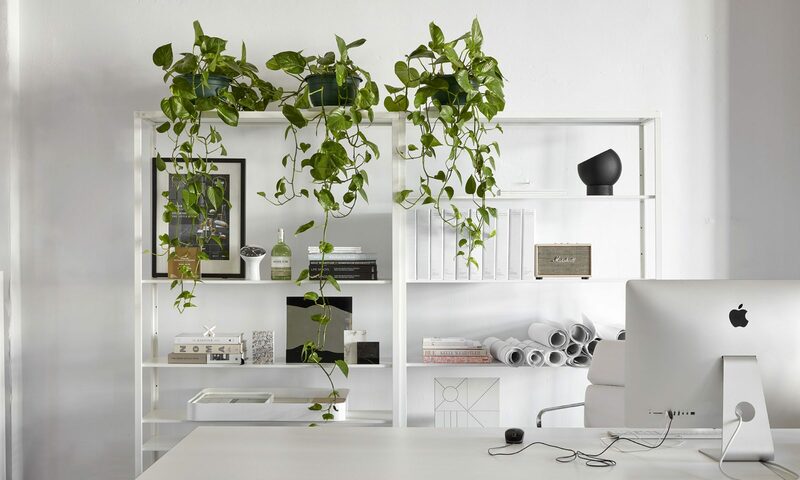 A feeling of lightness is further established with a monochromatic approach to furniture and styling and a wealth of natural light. The Stella Collective studio is located at 1A/249 Chapel Street, Prahran.